Looking for a gift this upcoming Father's Day for the TV and Computer lovin' Dad in your life? Then let me recommend the Logitech Illuminated Living-Room Keyboard K830. For Dads who constantly stream content from the PC to the TV, the Logitech Illuminated Living-Room Keyboard K830 is a perfect gift for his man cave. It is designed to enhance the connected-TV experience; with it, Dad can wirelessly control his computer when it is connected to the TV, allowing him to access his favorite TV shows, music and movies, and even websites from the comfort of his couch. I absolutely LOVE how this keyboard allows me to see the keys well during the day AND during the night because of great backlighting! All you have to do is type and the keys illuminate. When you stop typing, the backlight turns off after 5 seconds and you save power!! 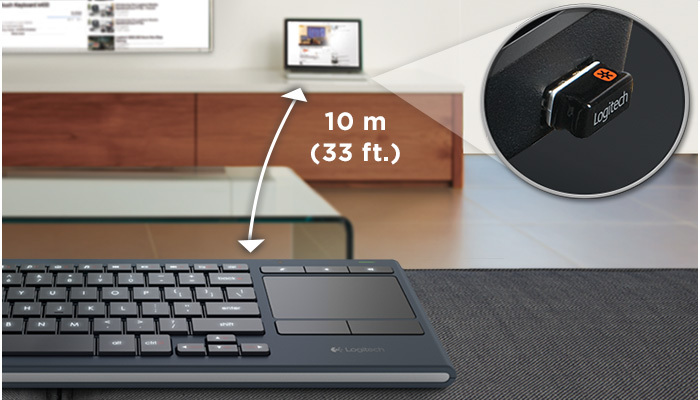 I also love how you don't need a mouse with this keyboard because the K830 streamlines navigation in the living room by combining a wireless keyboard and mouse into one device. 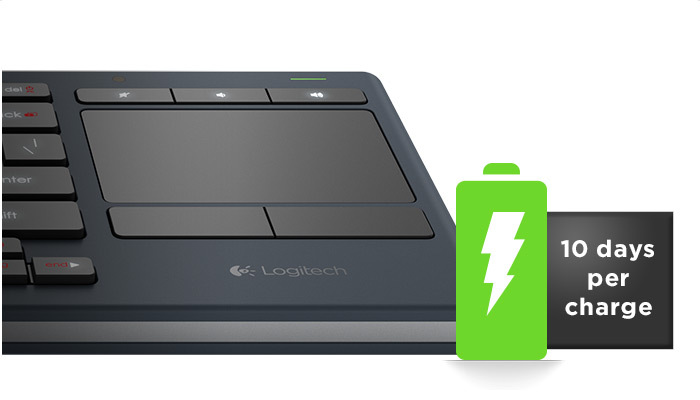 You can control the mouse pointer precisely and accurately from a distance with the built-in multi-touch touchpad. And I NEVER need cords or software with this keyboard! It has a 10 m (33 ft) Wireless range! Plus, it is rechargeable and you never need to change batteries! It charges easily with a micro-USB recharge cable. It is the perfect size for any living room and the perfect gift for any tech guy this Father's Day! 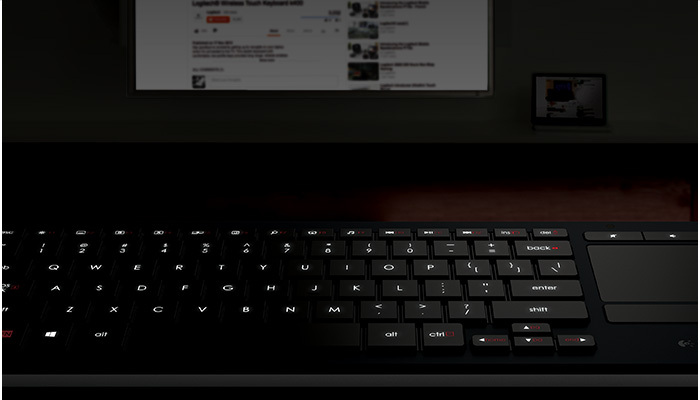 You can purchase the Logitech Illuminated Living-Room Keyboard K830 for $99.99 from the Logitech website.